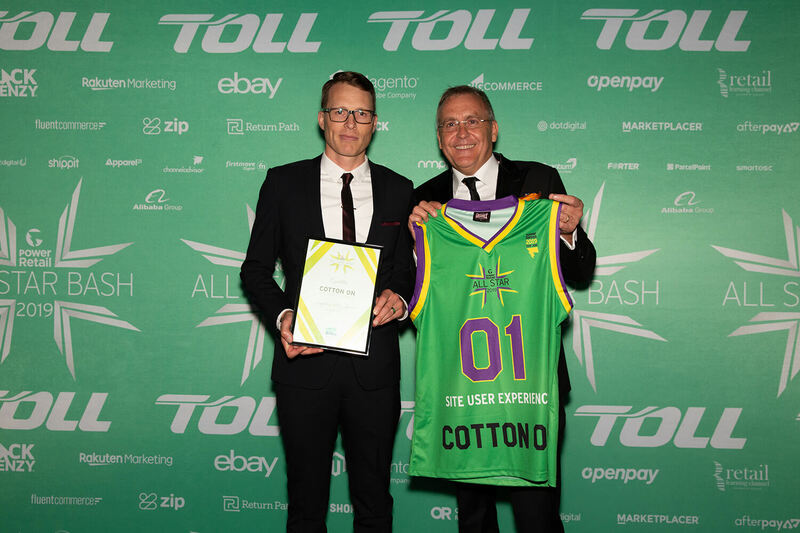 Cotton On, one of Australia’s largest retailers, has been awarded the Best Site User Experience Award at the All Star Bash, following a major eCommerce transformation project supported by digital commerce consultancy Tryzens. The All Star Bash is an annual event that recognises the shining lights of digital retail through the launch of Power Retail’s Top 100 Online Retailers list. The award ceremony featured a star-studded line-up of online retailers, and celebrated the very best that the Australian retail sector has to offer. Cotton On’s win comes on the back of an innovative eCommerce transformation project designed to improve the customer experience and user journey, better cater to Cotton On’s international customers, and bring the in-store experience online. This involved a rebuild of all of its sites worldwide using a scalable and flexible architecture to improve usability and ongoing efficiency for delivering new features. Tryzens’ proprietary analytics platform, TradeState, provides the team with live monitoring and trade reports enabling Cotton On to proactively identify changes that will promote more profitable trade and customer experience. These changes, combined with Tryzens’ ongoing support helped Cotton On to grow its online orders by 40%, handle huge peaks in traffic on events such as Cyber Weekend, and deliver a cutting-edge experience for customers.